Recently in London, ecobuil 2018 took place: the annual meeting of companies, professionals and experts from the sustainable construction sector. More than 450 companies were showcasing their projects. It’s remarkable the trend towards prefabricated solutions and modular construction systems (ELITE Systems, Pinnacle LGS DMCC, Kodasema, Marley), as well as the return to the use of wood structure for buildings (KLH Massivholz, Medite Tricoya extreme, PiveteauBois, Steico, …). Together with innovative and circular building addressed solutions there were those focus on new technologies for the improvement of energy and water efficiency (Volcalis, Pipex, Brugg Pipesystems UK, Bauder, Daikin, Solarwatt). The international presence was also bold in 2018 edition with representatives from Italy, Portugal, Austria, and the Spanish FINSA, among others. The center of the exhibition was dedicated to the WasteZone axis. At the WasteZone axis took place the congress activity with more than 15 plenary sessions in which experts in different disciplines explained their experiences in the application of the Circular Economy in the building sector. Next to the WasteZone axis, there was located the stand of the European project of BAMB – Builiding as Material Banks (www.bamb2020.eu). BAMB presented a Pilot House in which all the materials installed were identified in the Material Passport, very much in line with the approach that EcoIntelligentGrowth and Grupo Construcia are implementing in their projects BMW Barcelona Premium at l’Hospitalet del Llobregat and the residential project in Sant Cugat del Valles. 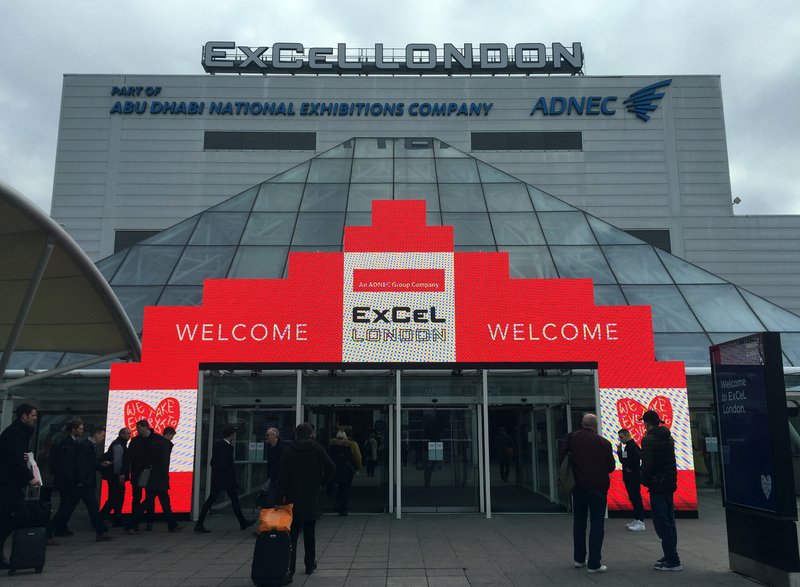 If you were to identify ecobuild 2018 edition in keyword, they would be: #circular economy, #transparency & access to information, #InteriorSpaceQuality and #Material Passport. It’s great new to know that all these areas in wich EIG has been working since 2007 are now the focus for the international scene of the build environment. 2019 edition is announced as futurebuild. Which do you think are going to be the new trend for the future of buildings?